no text Very Detailed Tree and Shrub Trimming and Shaping! no text Uniquely Skilled Work! no text 4th Generation Tree Worker - "I launched my own business in March 1997"
no text * Many More Tree, Shrub, and Landscaping Services than are listed on this page! 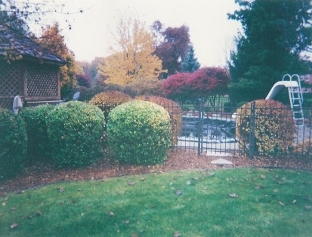 Mulches and Rocks - Spread, or put into place - All colors, and any type of mulch, or rocks. Edgings & Liners - Added, or Redone - Complete removal & installations - New or Additions. Landscaping Design, Installations & Planting - in New or Existing Landscaped areas / beds. Spring - Fall Cleanups, Annuals & Perennials Care, Ornamental Grasses, Roses, and more! Please Call 248-476-3483 for a FREE Estimate at your Convenience!